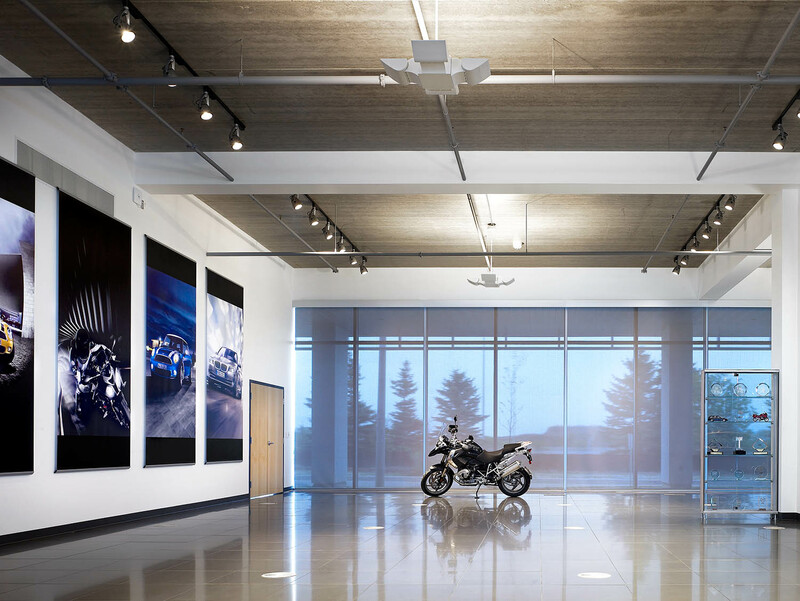 BMW Group Headquarters and Training Centre in Canada is a 4-storey office that houses a unique program, combining office space, BMW’s marketing school, and state-of-the-art training labs for future technicians and dealers. 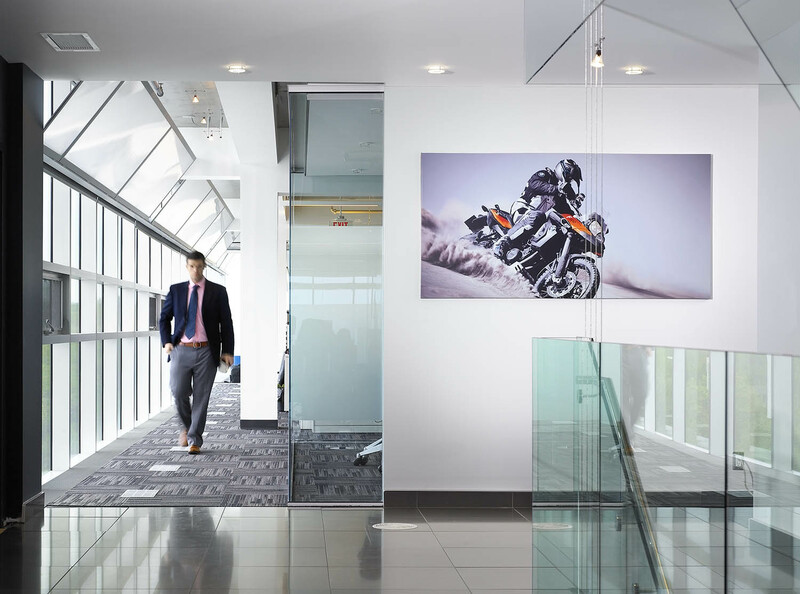 This is all housed within a high-performance building reflective of the BMW brand. 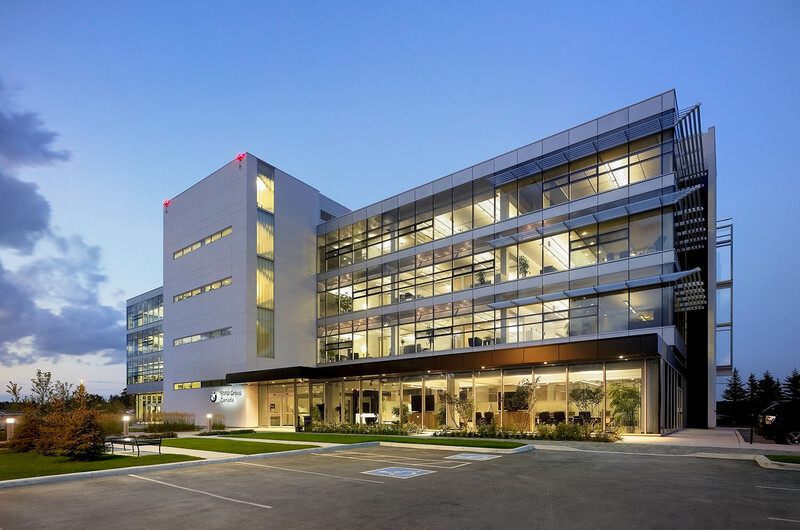 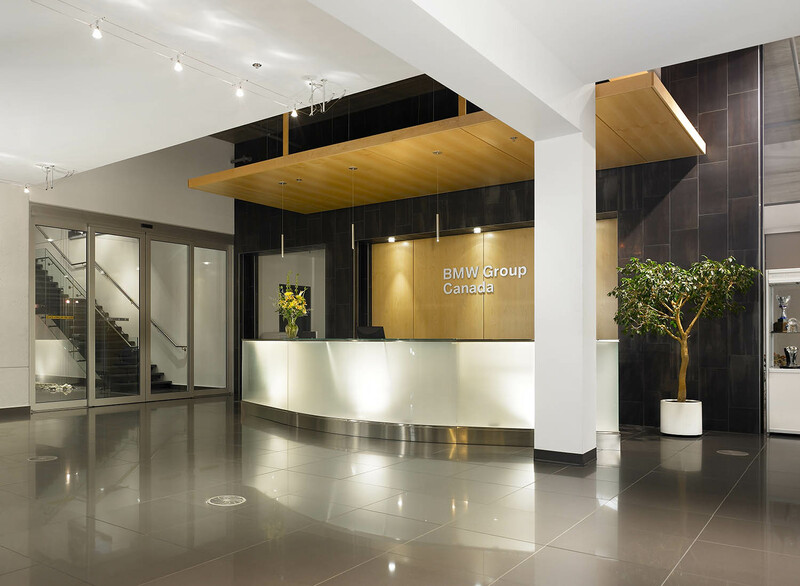 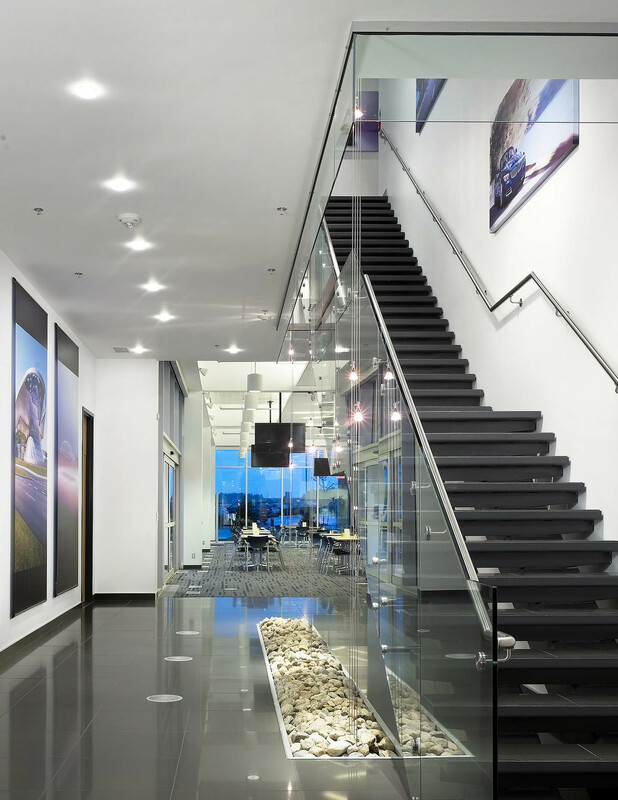 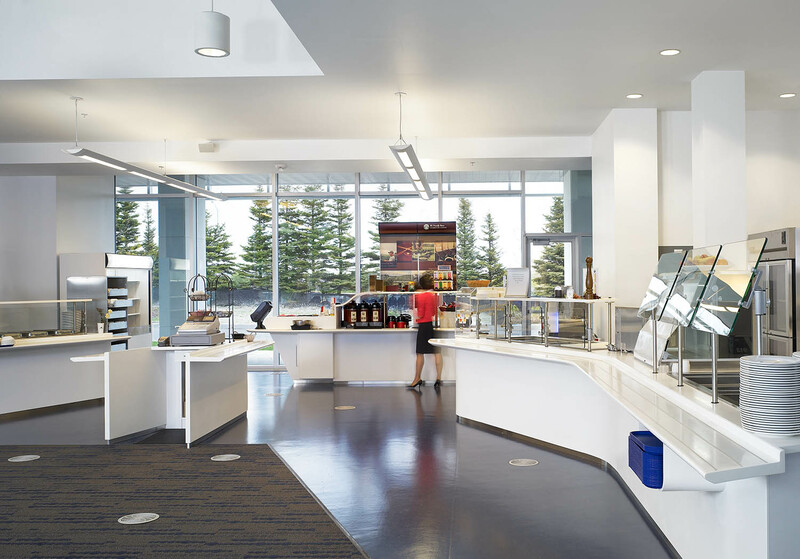 This project is LEED® Silver. 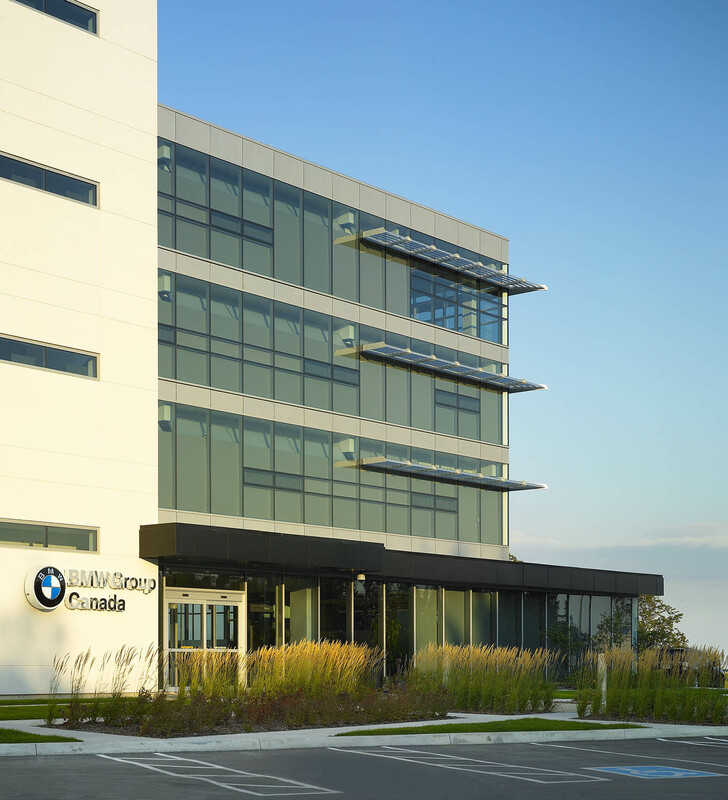 BMW Group Canada retained Sweeny&Co to design and develop their new turn-key headquarters north of Toronto on a 5.8-acre site facing Highway 404. 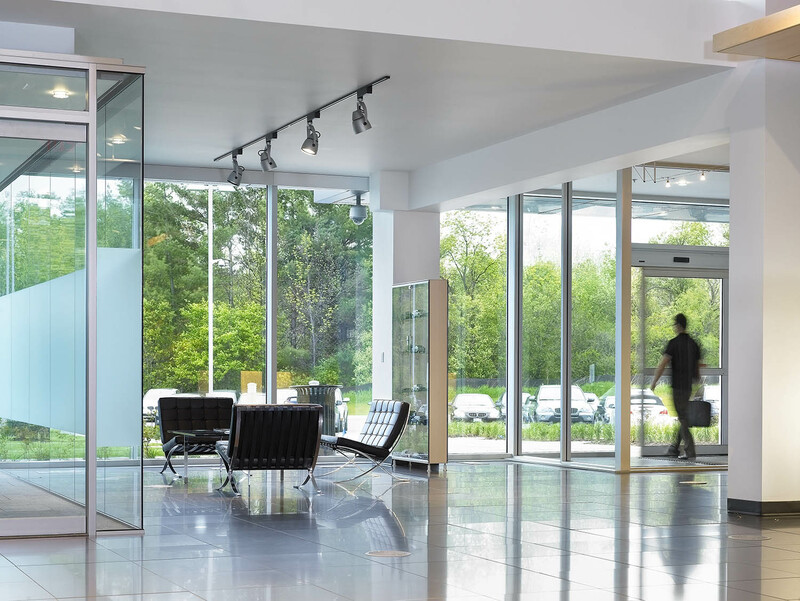 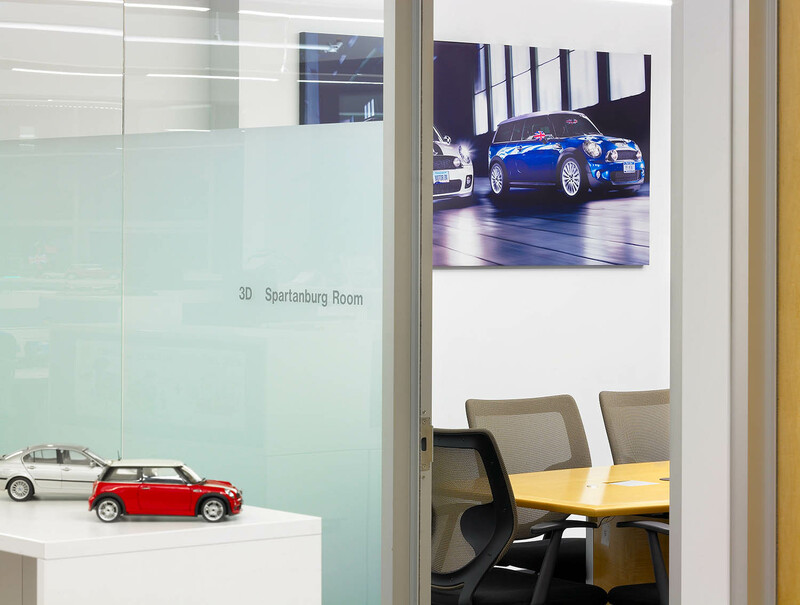 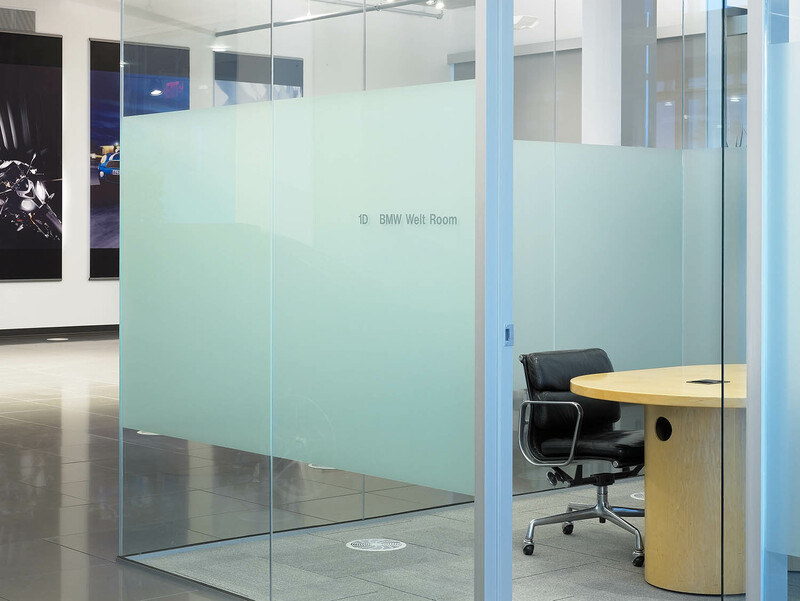 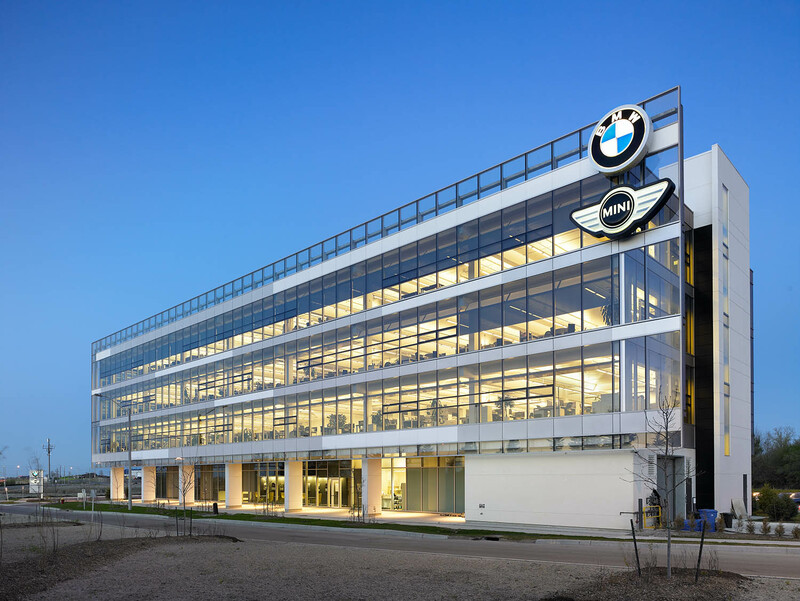 As building architects and interior designers for BMW, Sweeny&Co designed comfortable, sustainable working spaces with expansive views, natural light, individual air and temperature control, operable windows and automated building features which promote the morale, productivity and commitment of BMW’s employees. 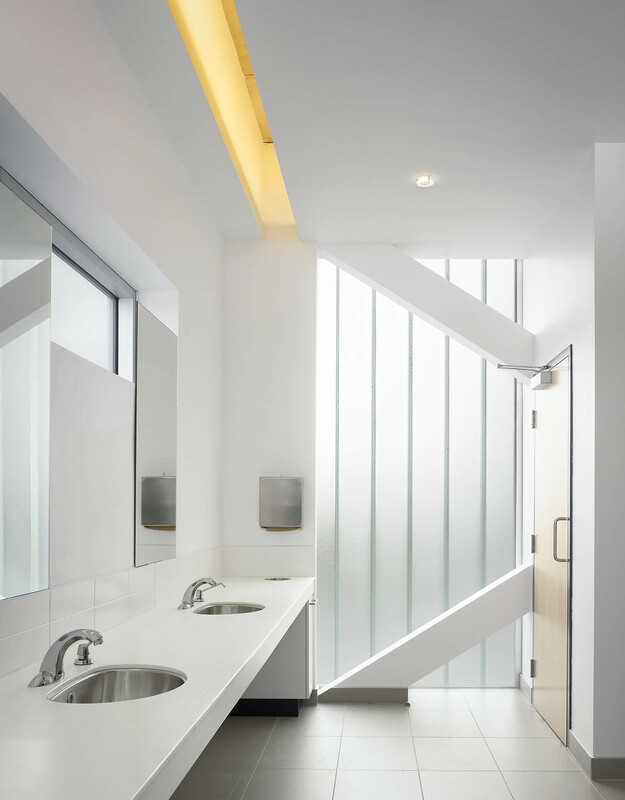 An exposed circulation stair connects the four storeys on the interior, creating both physical and social connectivity. 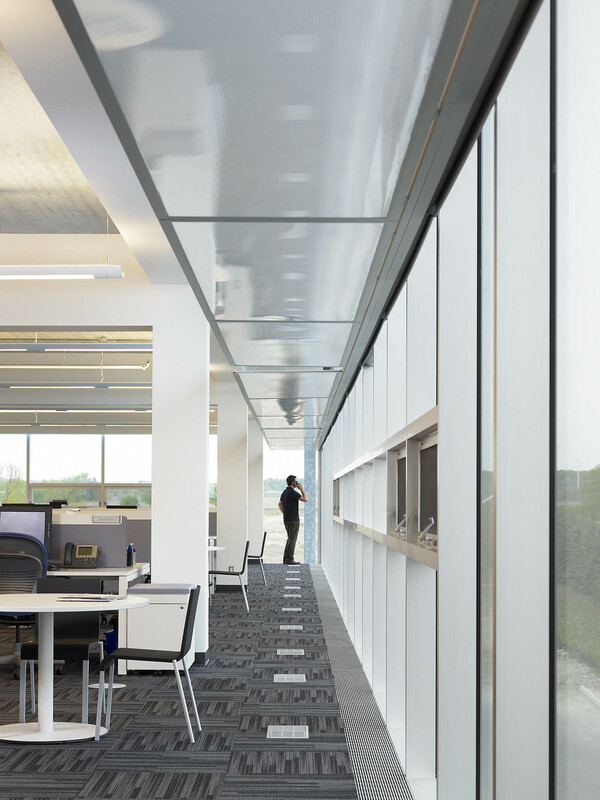 Using an open space concept, the work spaces are connected in pods to encourage collaboration and open communication. 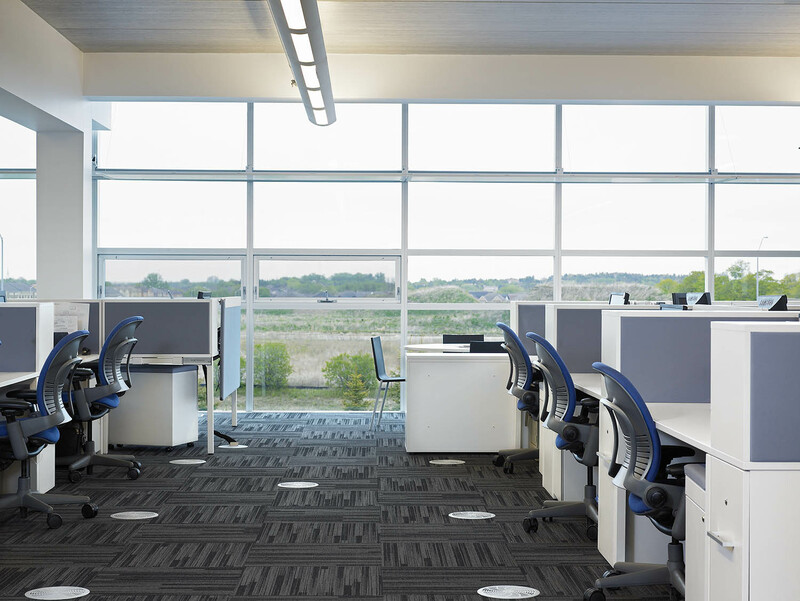 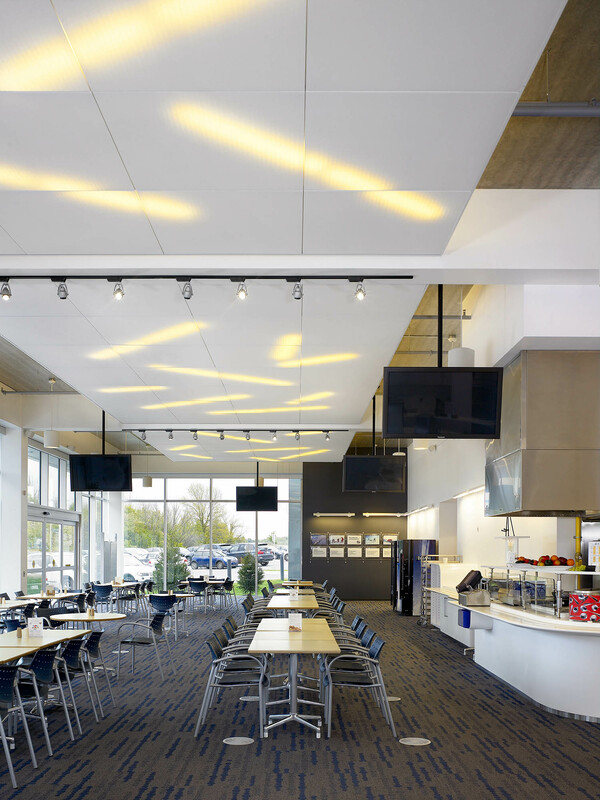 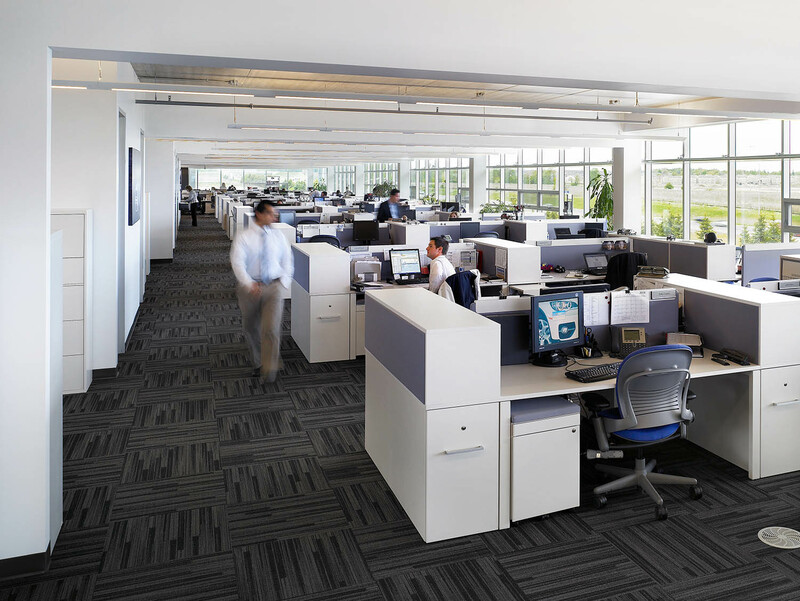 Offset cores resulting in large floor plates, and the raised floor system facilitates maximum future organizational flexibility. 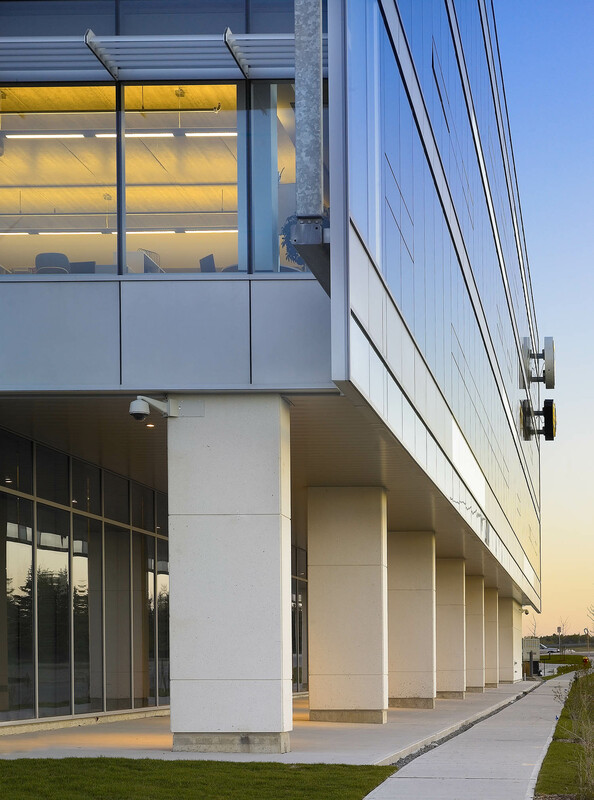 Other sustainable features include low flow plumbing fixtures and rainwater collection to reduce the use of potable water. 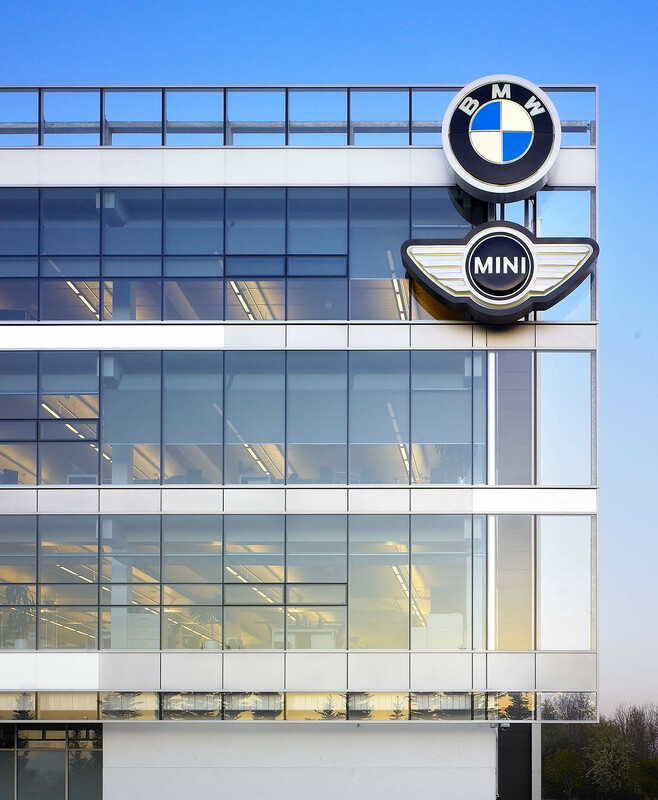 The result is a building that supports the BMW staff and brings to their architecture high-performance features that reinforce their brand.